A new study in Science journal shows that membranes based on the “miracle material” graphene can be used to distil alcohol. An international team created the membrane from graphene oxide – a chemical derivative of graphene. The research team has shown that the membrane blocks the passage of several gases and liquids, but lets water through. This joins a long list of fascinating and unusual properties associated with graphene and its derivatives. 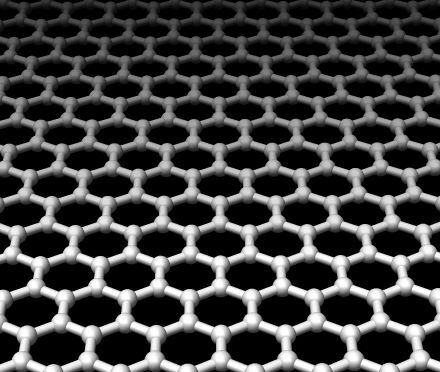 Graphene is a form of carbon. It is a flat layer of carbon atoms tightly packed into a two-dimensional honeycomb arrangement. Because graphene is so thin, it is also practically transparent. As a conductor of electricity, graphene performs as well as copper; and as a conductor of heat, it outperforms all other known materials. The unusual electronic, mechanical and chemical properties of graphene at the molecular scale promise numerous applications. Andrei Geim and Konstantin Novoselov from the University of Manchester were awarded 2010’s Nobel Prize in physics for their discovery, outlined in a scientific paper in 2004. Andrei Geim and others have now developed a laminate made from thin sheets of graphene oxide. These films were hundreds of times thinner than a human hair but remained strong, flexible and easy to handle. When a metal container was sealed with agraphene film, even the most sensitive equipment was unable to detect air or any other gas, including helium, leaking through. But when the researchers tried the same with water, they found that it evaporated without noticing the graphene seal. Water molecules diffused through the graphene-oxide membranes with such a great speed that the evaporation rate was the same whether the container was sealed or open. In another study in Science journal, a different team reports the development of a membrane based on diamond-like carbon. This membrane has unique pore sizes that allow for the ultra-fast passage of oil through it. One expert said it could potentially be used for filtering toxic contaminants out of water or for purifying industrial chemicals.